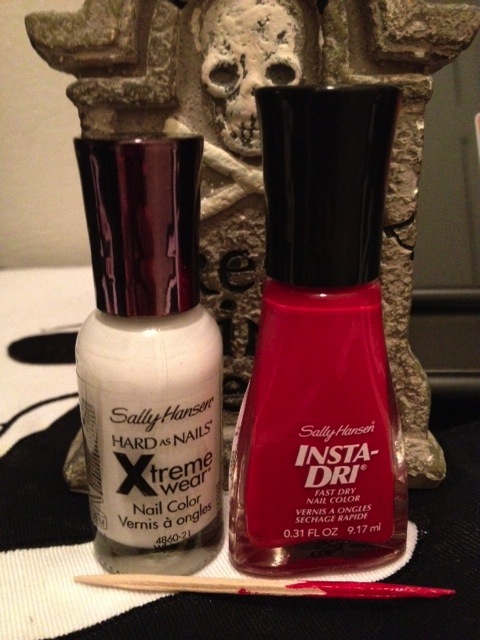 This entry was posted in FUN!, Mani Mondays and tagged Accessories, Beauty, Blog, blood dripped nails, caption, Cute, diy, entertainment, fashion, halloween mani, halloween manicure, manicure, Robin Thicke, Sally Hansen Insta-Dry, sally hansen rapid red, sally hansen white out, Sally Hansen Xtreme Wear, Seche Vite, seche vite dry fast top coat, Seche Vite top coat, style, toothpick, wine. Thanks Molly! Idle hands, indeed! Happy Halloween week to you, my friend! Holla that, Girlfriend! Might I say how fantaboooosly you looked over the weekend?! Lisa – I can make the fingernail painting all. night. long. We can watch each nail dry before going onto the next one, therefore forcing us to open yet another bottle of champs, wine, OJ, etc…deal? Let’s see….you have 10 digits. That’s a 10 day ruckus. Yeah. That’s a done deal. You have too much free time, but this is pretty cool! Makes me wish I could paint my nails without being judged! Of course I have too much time on my hands! 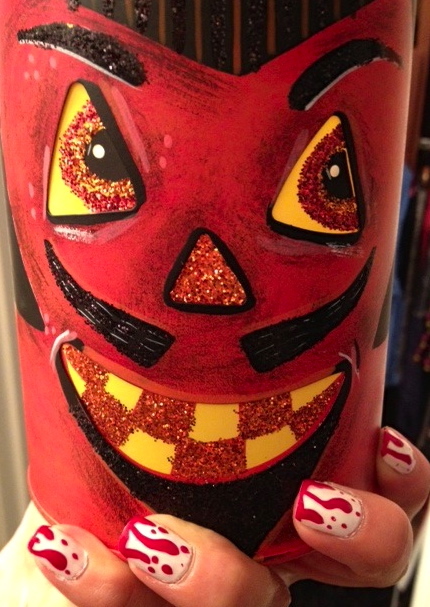 But I think you can definitely get away with one nail painted in honor of Halloween. C’mon. Let Ace give this a try on your pinky. Why thank you, Bailey! They kind of scared Teddy at first but now he’s a fan. Hope your pawty was fun yesterday! there is no way you did those after 4 glasses of wine?!! They came out sooooo good!! 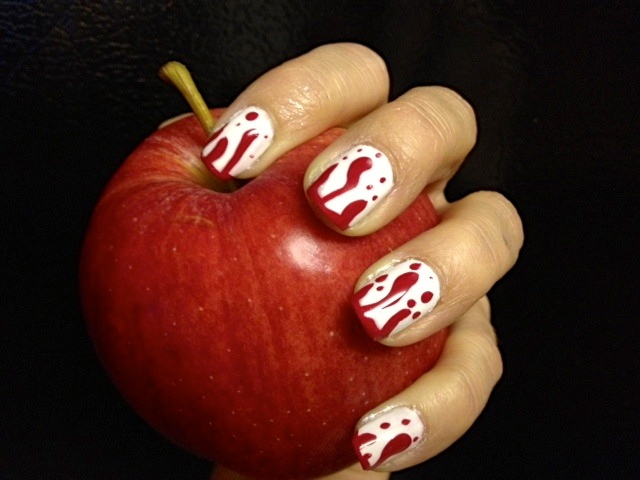 I should have tried this mani! Well, I was doing while consuming four glasses of wine! It’s now my secret weapon. My new rule is no manis without an entire bottle of wine. Period. i may need to try that! Love the nails! Wish I had both the aptitude and patience to do cool nail designs on myself. Thanks Girl – if you ever paint your nails, just do an accent nail with design. Requires almost little patience, just a bit of determination (I promise, wine does help!). I love your mani. So creative! I like it a lot. Appreciate the love! Mr. Bear sat patiently beside me waiting the outcome. He was less than impressed, as you can imagine! Very True Blood. You’re on a roll, gf. Even better than the last one! Heads will roll. Hahaha! 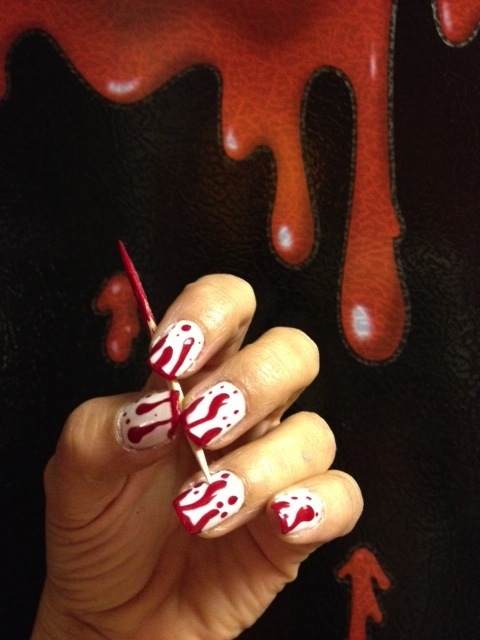 Anyhoo, thanks for the compliment – my brain was on overdrive once this mani was complete. I may have run my mani thinking cap dry. The horror! This looks AWESOME!!! So Halloweeny! BOO! It was pretty easy – and has been a great conversation starter so far this week! 🙂 Thank you! I love them! Sooo much, they pop like crazy. And SH White is notoriously hard to apply. Have you tried Sinful Colors Snow Me White or Essie Blanc? The trick for me in applying the SH White was a very thin layer first, followed by a thick second layer. My problem though is staying in the damn lines of my fingernails! 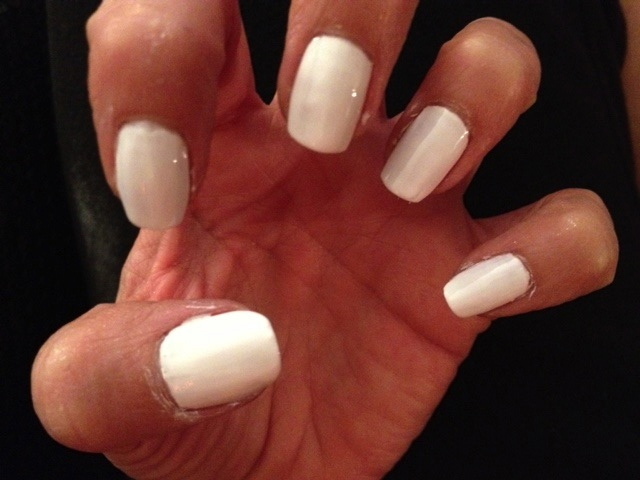 I haven’t tried the Sinful or Essie whites – are they easier? I do love both brands, so I’d assume so. I think they look cool! Happy Halloween! 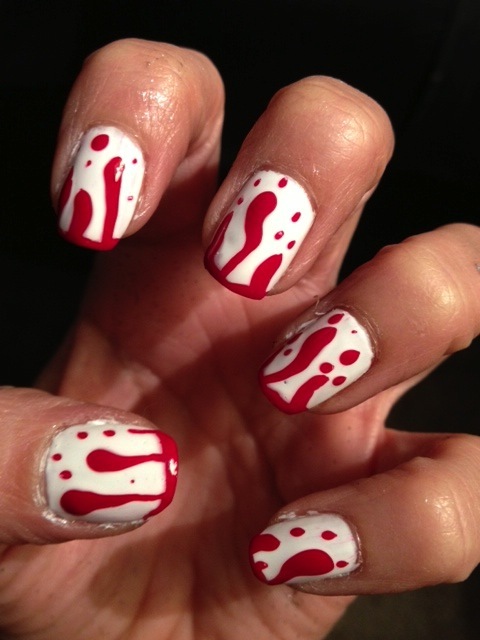 Fantastic blood curdling nails…. Great work they look perfect!